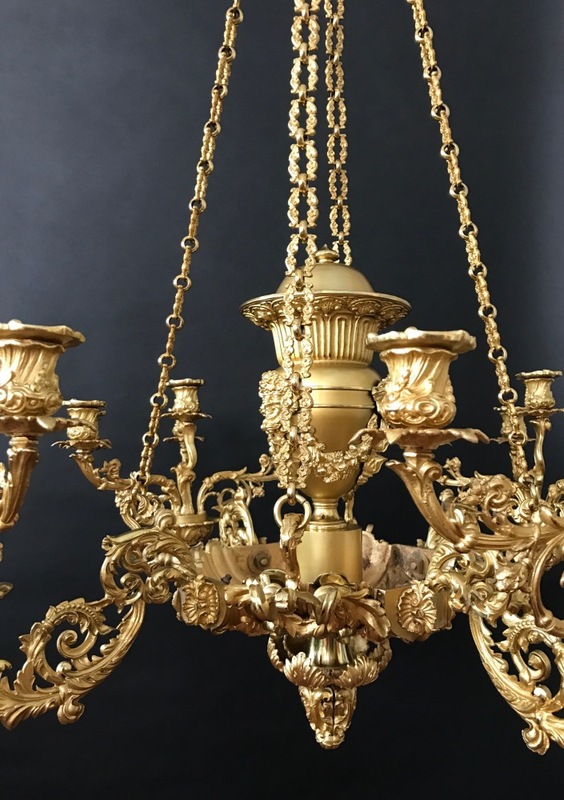 Presented in a beautiful two-tone gilt-lacquered finish, this Regency chandelier was powered in period by the light of twenty candles. 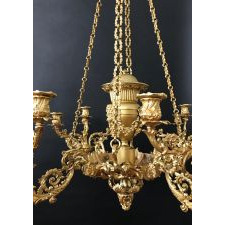 The stylized canopy holds four chains composed of cast links and rings. A large font usually associated with colza-fueled fixtures provides decorative impact. Classical masks joined by swags of fruits adorn the font. 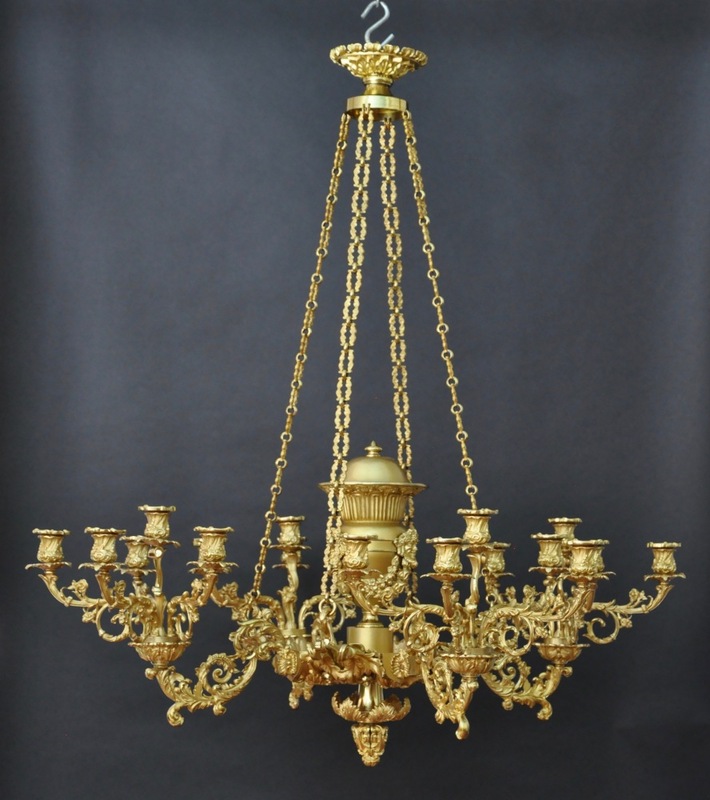 The large cast bowl secures the arms of the chandelier and the brackets for the chains. Each arm provides support for five smaller candle arms. A large two-piece finial extends from the bowl.